appril festival is alife and kicking! This week we make a fresh start with our brand new websiteWe and don’t worry, we have this new look but we are still the same! We love to connect, inspire and showcase what you, the app professionals create. We did this for 6 years long in real time during the apprilfestival and now we love to do this online with our brand new website. And although developing an app is expensive and technically complex ..mobile is still growing! So let’s learn from each other, share you’re knowledge and stay ahead off the game. We from appril would like to share you’re the latest news, educate and inspire you. We love to offer you space to showcase you’re best products, learnings, and laughter. Oh and don’t’ forget to check out our job offers and app-mobile-UX- Nl-news. We have more then 5.000,00 apps in the apps stores. So lady’s and gentlemen, we present to you our new partner Appdevcon! Team appdevcon and appril go way back, we are working together since the beginning of apprilfestival and appdevcon in the year 2012. It took us almost 6 years to figure out that we would be each other’s best partners. We have got the same DNA and share our love for Dutch app development, So now we have decided to join forces, we share our skills, best practices and combine our network. And yes there are differences, Appdevcon is all about development, for and by developers. 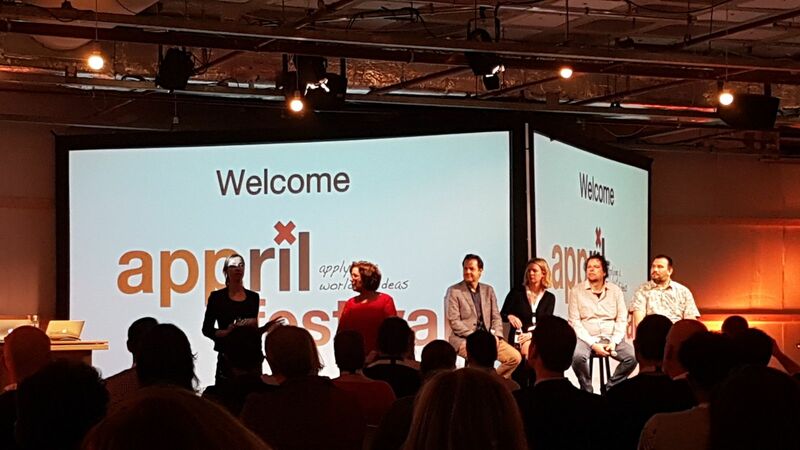 apprilfestival all about ideas and for everyone working on creating an app. Both are here to serve the Dutch app community, designers, developers, product owners, founder, investors and applovers. Share your new, updates or a call. Send us your content! We love app-related news, all about hackathons, course, showcases, call for action, learning’s jobs, events and all that’s interesting for our audience. Send your news to redactie@apprilfestival.com and we publish the news. Partner up with appril or appdecon! Wanna get in the spotlight and join our events, contact Jacqueline for info and all the options.